The smallest dent on garage door panels could be the reason for malfunctioning. The material can be affected, rust or mold may grow and expand, and problems will begin. Regardless of the material, if your garage door is made of multiple panels, you don’t have to replace the entire door. Homeland Garage Doors Toronto works with specialized technicians, who can inspect the problem and inform you whether section of the door can be changed. The distortion of the door may affect its alignment and the way it is moving and that’s why you must not delay its repair. 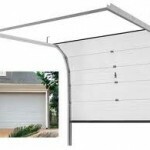 We have experience with similar garage door repairs and carry the best repair parts of the greatest brands worldwide. Taking care of small or bigger problems right away with regular garage door service can be your guarantee for safer and most reliable garage doors. We are experts on garage door panels and can work with all types of doors with efficiency and professionalism.